The Batch Strength Blended Malts have been selected and blended with extraordinary casks of single malt whiskies from over 10 Scotsh distlleries and each utilize defining signature malts from a specific region of Scotland. The first three Batch Strength have each been assigned batch NO. 001. Nose: Juicy orange segments stewed in honey and cinnamon with a helping of saﬀron custard. 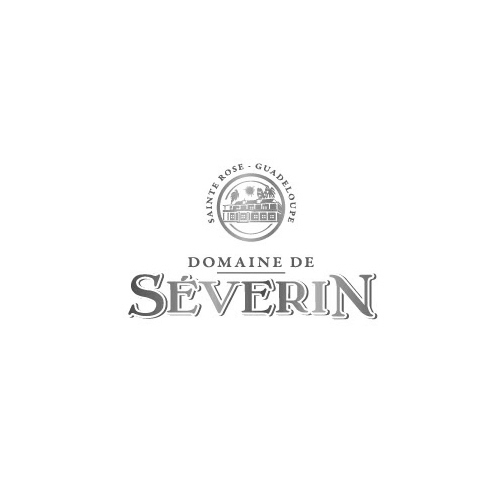 Hints of freshly baked brioche buns and ripe stone fruit dance in the periphery. 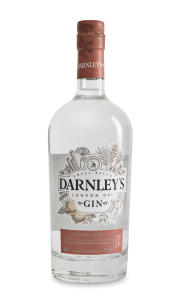 Palate: A burst of ﬂoral sweetness is followed by opulent orange oil and toasted oats. At high strength a syrupry and waxy quality coats the tongue like cut honeycomb. 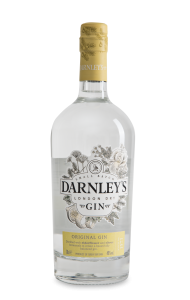 Finish: Eﬀervescent cinder toﬀee notes dance on the palate dispersing in a clean and fresh fnish. Core Malts: Speyside, Lowland & Highland. Signature Malts: Fruity and sweet Speyside. Wemyss Malts is a boutique independent bottler based in Scotland. Wemyss is pronounced” Weems” and is the Scots word for caves. 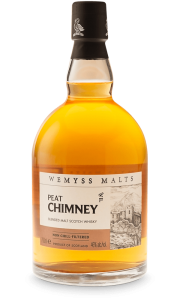 Wemyss is named after the caves on the rocky shore of Fire beside Wemyss Castle which is the historic family home of the Wemyss family. The Wemyss family has a long association with whisky. John Haig, who is the founder of Haig’s, built his first distillery on Wemyss land at the turn of the 19th century. William Wemyss is the chairman and founder of Wemyss Vintage Malts. He is a direct descendent of the 3rd Earl of Wemyss. The Earls’s signature is used on the Wemyss range packaging. Since 2005, Wemyss Malts had been producing blended malts, blended Scotch and Single cask whisky. 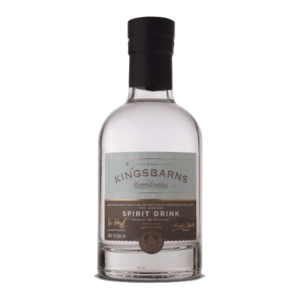 In 2014, Wemyss Malts opened Kingsbarns Lowland Distillery with the aim of releasing a classic lowland malt in 2018. Today Wemyss Malts uses the unsurpassed knowledge and expertise of Charlie Maclean. Charlie is a writer and a specialist. His special subject is Scotch whisky. Charlie is an authority on malt whisky having written many books on the subject and granted the rare honor of being elected Master the Quaich, the industry’s highest accolade, in October 2009. Charlie had developed the whisky recipes for the blended malts and oversees the cask selection for the single cask bottling range. •	Single Malt Scotch Whisky: A Scotch Whisky distilled at a single distillery from water and malted barley without the addition of any other cereals, and by batch distillation in pot stills. 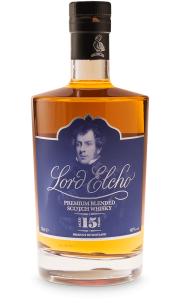 •	Blended Scotch Whisky: A blend of one or more Single Malt Scotch Whiskies with one or more Single Grain Scotch Whiskies. •	Blended Malt Scotch Whisky: A blend of Single Malt Scotch Whiskies, which have been distilled at more than one distillery. Besides that, there are also two categories of Scotch Whisky: Single Grain Scotch Whisky and Blended Grain Scotch Whisky. •	The aim with blended whisky is to produce a whisky that is rounded in character and suitable to the majority of consumers. •	Today over 90% of the Scottish whisky industry comprise of blended malts. •	Blending is a combination of both art and science. A blender needs to be a flavor expert that can 1) Identify the huge range of flavours and aromas in individual whiskies, 2) Be able to understand at what stage specific flavours originate in whisky production so they can source them again and 3) Understand how individual whiskies will interact when blended together with up to 50 others. •	A blenders stock is never consistent. They may have to find replacement malts from different distilleries but with similar characteristics. 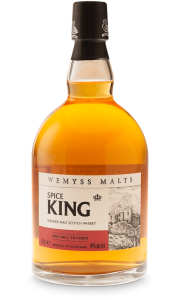 Each of Wemyss Malts blended malts represents a distinct flavor profile. 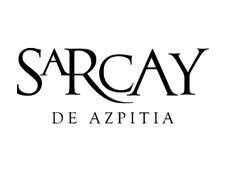 The whiskies are named after their natural tastes and aromas meticulously crafted by their blenders careful selection and blending of core and signature malts. These are all non-age statement whiskies, bottled at 46% ABV and non chill-filtered. Wemyss Malts is a boutique independent bottler based in Scotland. Wemyss is pronounced” Weems” and is the Scots word for caves. 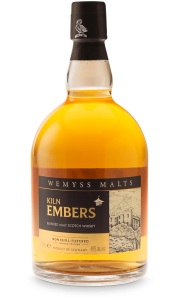 Wemyss is named after the caves on the rocky shore of Fire beside Wemyss Castle which is the historic family home of the Wemyss family. The Wemyss family has a long association with whisky.